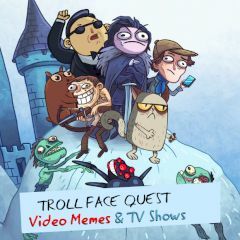 Have you missed old good Trollface quest game? It's back with new TV show and memes that you need to experience. Just play it like you used before and quickly find the answer for a riddle. Just click on the correct item or part of the screen to activate the picture and prevent the game from trolling you.